We are presenting the New release of the Markers Plus System which includes a lot of new features. The main feature of Markers TM© is to detect objects painted on the Chart, by an indicator or by the user. If instead of getting the object properties you get nothing or just the indicator parameters dialog box, it is possible those signals are not compatible. 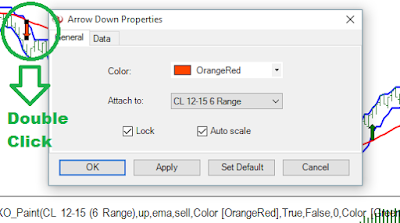 When using non Market Orders, where a Limit or Stop Entry Order is used, we can also specify on Markers TM© for how many bars the Order will be kept alive without fill. 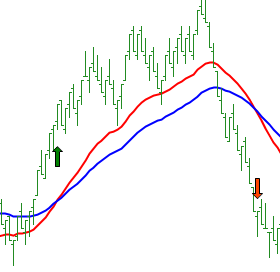 We can also specify if a new signal updates the Entry Order Price. Example ; if we want to enter at market but not wanting to have much slippage on high volatility moves, we can enter a Long with a Buy Limit at Ask ; this should produce instant fills under normal conditions, and if not filled, the order can be auto cancelled after 1 Bar. Now, all the auxiliary indicators produce historical results so we can check and visual backtest our filters and signals. It is also possible to calculate the difference between 2 lines, and also paint a signal when that difference exceeds a threshold. This is the Universal Crossover Indicator. Any of these lines can be matched against maximum and minimum limits to filter Signals. 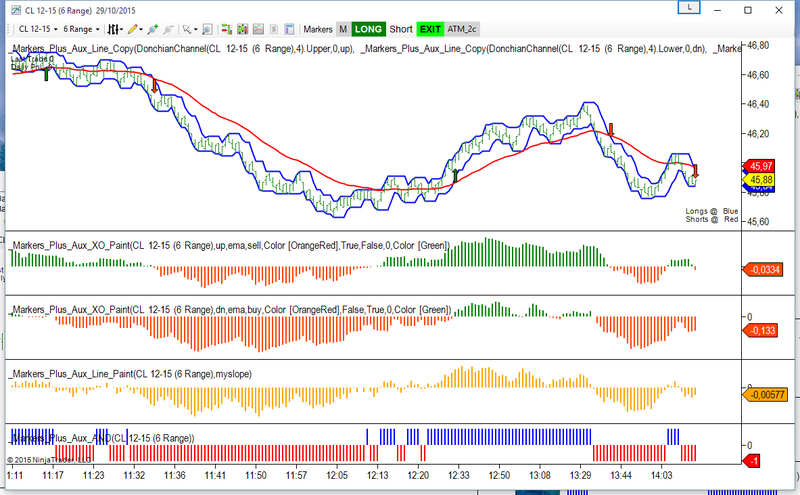 Now the Trader has all the Tools to create its own Trade Setup, trading a current signal indicator compatible with Markers or creating its own signals and also filtering those signals with all the indicators that each user has installed.